Fortnite Season 6, week 2 has begun. The new week starts with an exciting task list of new challenges. By completing the challenges players will unlock XP, battle pass stars, and more! This weeks challenges are different than previous battle pass challenges. This week they have added 3 stage challenges, where you need to do damage with 3 different weapons – assault rifles are part of the free challenges, sniper rifles are part of the paid challenges. Once you have completed the season 6 week 2 challenges you are able to find the hidden banner. The hidden banner for season 6 week 2 is located just northwest of Paradise Palms. 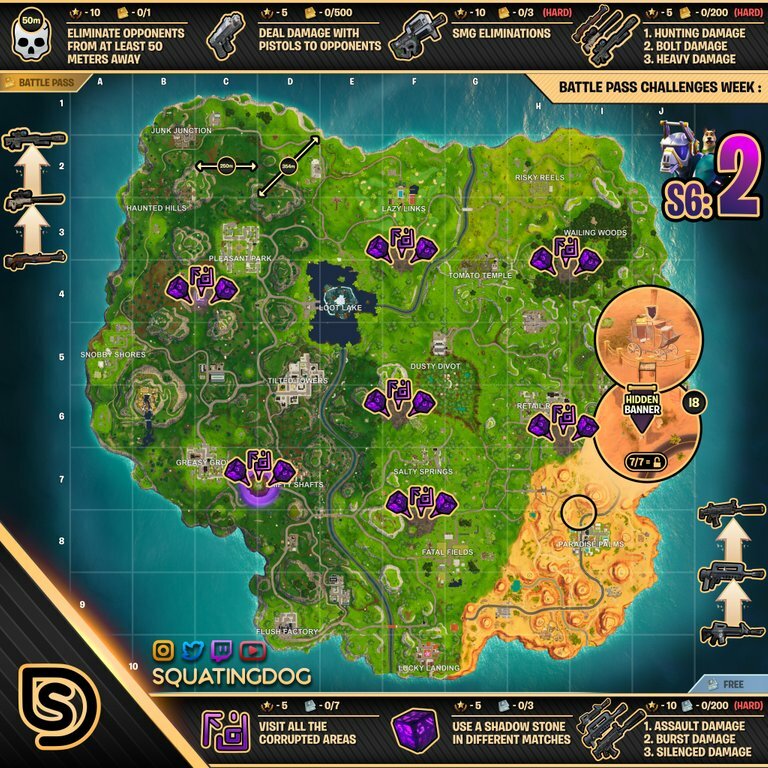 Take a look at the Fortnite Season 6 Week 2 Cheat Sheet below.